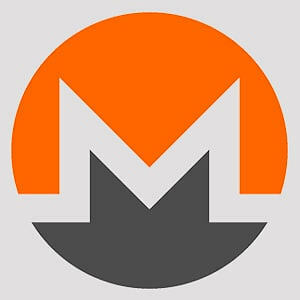 Monero extends the gains after stepping above $50.00 resistance. Technical indicators signal further gains with a focus on the $52.00 hurdle and the supply zone at $54.00. Monero is still flying the bullish flag amid growing bearish pressure on the market. The recent gains saw XMR bounce off the support at $42.0 stepping above the Simple Moving Average resistance (4-hour chart). The move catalyzed more gains as bulls returned to take their position after a period of low trading activity following the declines on January 10, 2019. The bullish momentum that swept across the entire marked pushed Monero above $48.00 and even tested the next resistance at $50.00. Failure to step above $50.00 resulted in lower corrections have since been supported at $47.00 (January 10 low). At present Monero is exchanging at $50.23 following a 2.37% rise on the day. There is more to expect from this break above the critical $50.00 level. Besides, the Relative Strength Index (RSI) in the same range is almost exploring the overbought territory. On the other hand, the Moving Average Convergence Divergence (MACD) is sitting tight in the positive region while at the same time it has changed the direction to the north. Monero must find support above the $50.00 level for a correction towards the next barrier at $52.00 and the supply zone at $54.00. In case of a bearish correction, short-term support has been established at $48.00 (former resistance). Second support is seen at $48.00 while the main support is at $44.0.